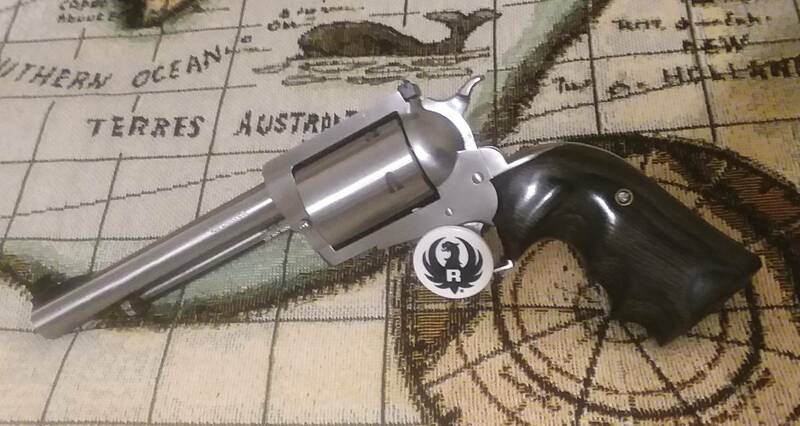 I bought these DMAX Revolvers in order to build Midframe Reeders. Got three of them for $1500, so great for base guns. Probably keep this one as is. It's in mint condition and chambered for the 458 DMAX. Nothing but a 45-65 WCF loaded to higher pressures with a new name. The other two are going to Gary for conversion to 445 SuperMag and some undecided cartridge for the other. The original BFR's weren't they? Pre-production prototypes from D-Max as per Darvin Carda, the owner of the company before it's sale to Magnum Research. These weren't included in the sale and a few went to distributors. 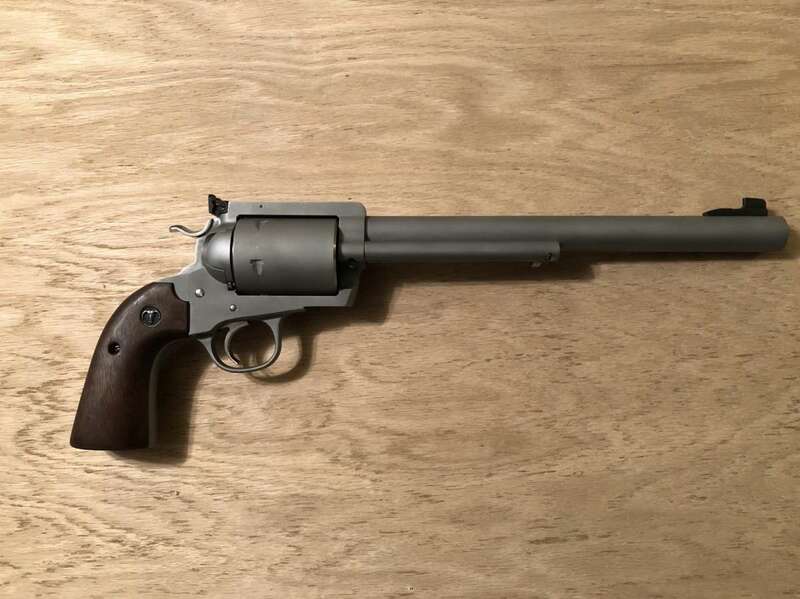 The cylinder length was 2.26-2.265" thus being a bit longer than the Ruger "maximum" Super Blackhawks. Fit and finish was very good and the cartridge, with the judicious handloader is quite formidable. Being a 1.8" 45 caliber is suspiciously similar to the far newer 460 S&W but with the obvious differences. This being a 45-70 based case with .458 bullets and the S&W being a "lengthened" 45 colt case with .452 bullets. 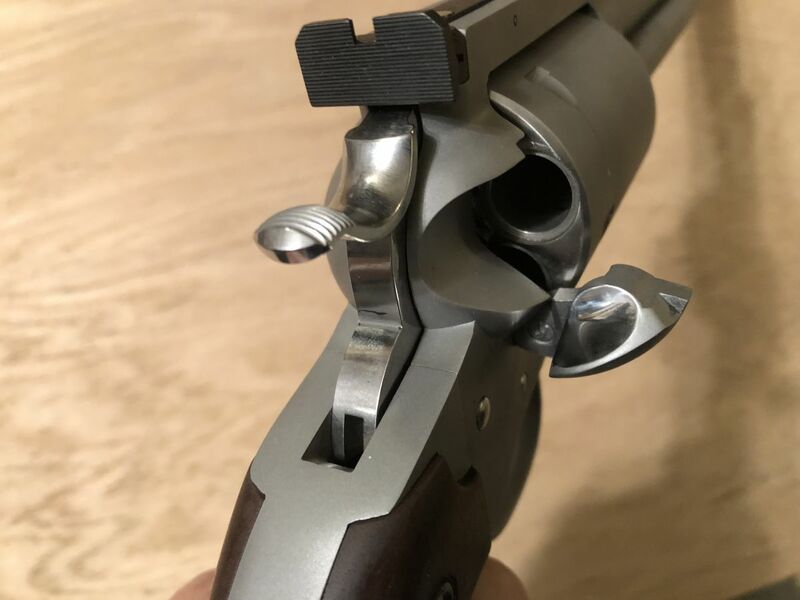 Frames will easily accept a Ruger Bisley gripframe, hammer and trigger. I would be curious the serial numbers on your three guns, as the highest I've seen is #49. I wonder if there were 50 made or 100, as I suspect the castings came from Pine Tree Castings.